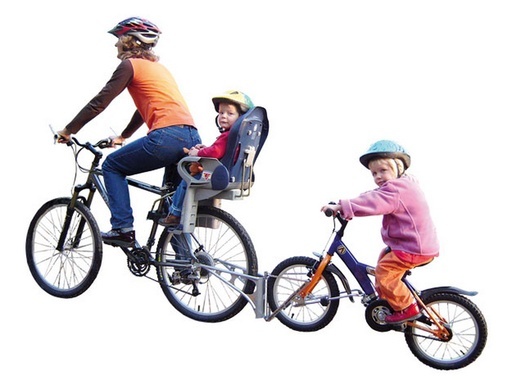 This ingenious device is the perfect solution for riding safely with self-sufficient kids. Install the coupler on the adult bike, and then link up the kid’s bike at will. Great for when the going gets tough, or just for fun. 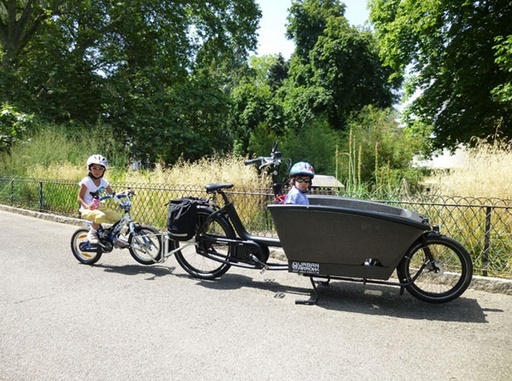 Because the FollowMe Tandem attaches to the axle of the towing bike, it will not interfere with the use of child seats, panniers, or baskets installed on the adult bike. What's in the box? 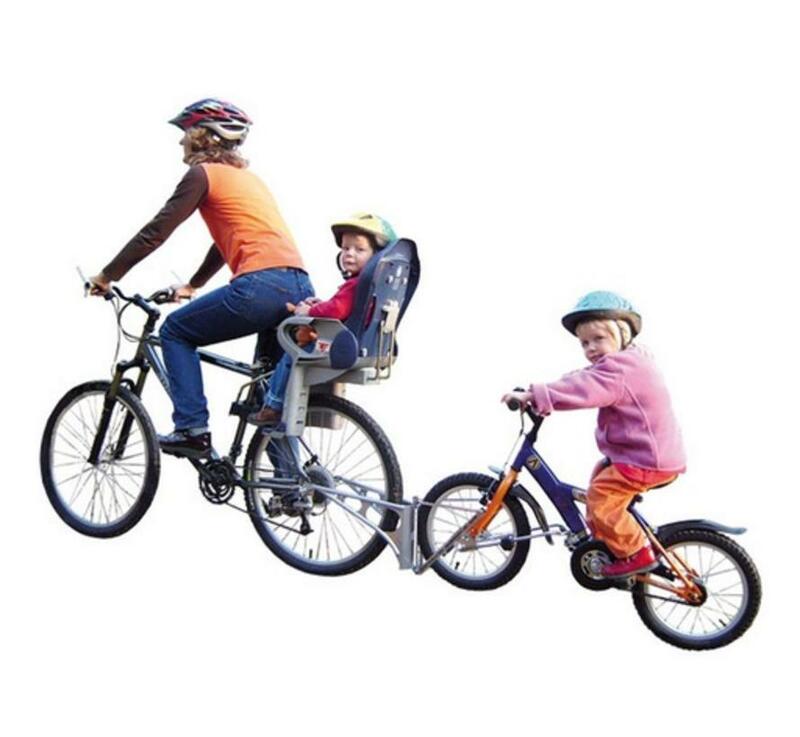 FollowMe Tandem, standard FollowMe quick release skewer, hook up strap including carabiner, frame clamp for child’s bike, 3 sizes of solid axle nuts for child’s bike. Suitable for 26” and 700c bicycles with quick-release skewer wheel attachment. Adapters are available for wheels with a solid spindle or hub gears. 3/8 axle nuts for Shimano Nexus or Alfine Internal Gear Hubs. M10 axle nuts for Enviolo, Nuvinci or BionX. Adjustable for kids’ bike wheel sizes from 12" - 20" (approx. age 3-9). For Isla bikes and bikes with a quick-release front wheel, a QR axle is required. Attachments for Frog bikes here. 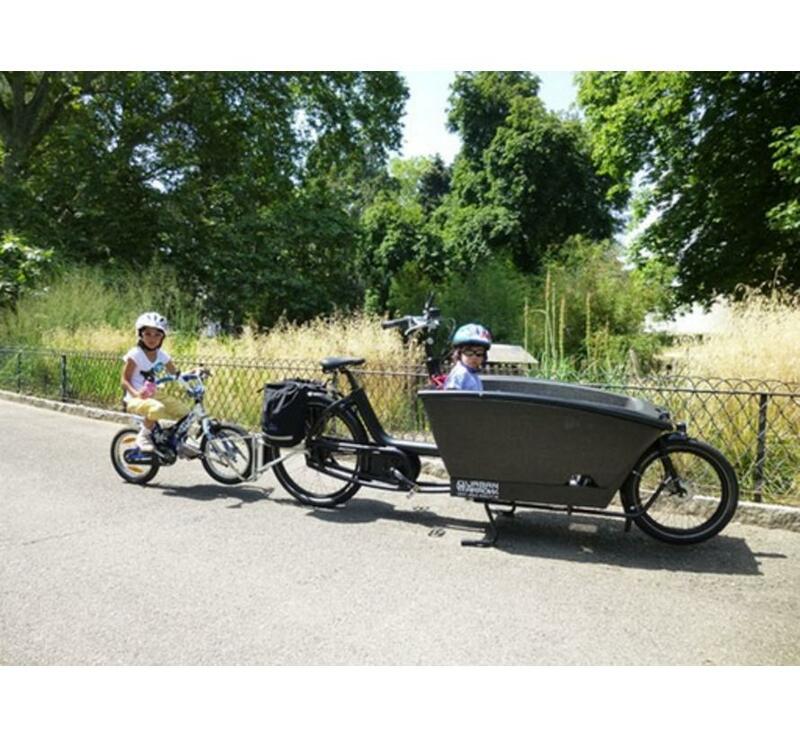 Max Towing weight: 99 lb (including the child’s bike). Got lots of bikes? Adapters for equipping additional adult or kids’ bikes are available. If you are unsure as to whether the FollowMe will fit your bike, please contact us.